Hello Dealsnloot Readers,Google is making Android more secure every iteration making it difficult for the developers to gain root access on Android devices and alter system partitions. Systemless root is the latest thing in custom Android development which allows users to gain root access without altering system partition. So, you can enjoy OTA updates and other root-restricted apps even on rooted Android devices.Magisk is the new face of Systemless interface on Android which is aimed to make custom mods go systemless. 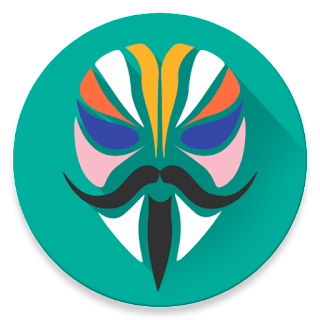 It’s the brainchild of the XDA developer topjohnwu and is the short name for “Magic Mask” which aims to overcome the difficulties with Systemless mods. Once you install Magisk on your device, you can choose from many modules to go entirely systemless.So Hurry Grab This App To Root Your Android Mobile And Hide Your Root From Apps. 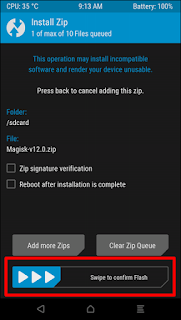 3) Tap the Install button on TWRP main screen » select Magisk.zip file » and Swipe to confirm flashing the file. Via Magisk Manager (Only support v14.0+):This method does not need root, and also does not require a custom recovery. 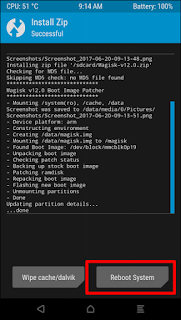 2) Open Magisk Manager and swipe from left to open navigation menu and click on "Install" 3) Magisk app will automatically detect your device's boot image location , you have to just click on "Download and Install". 4) A popup will appear then click on "Install". A zip file will be downloaded and then installed by app automatically . 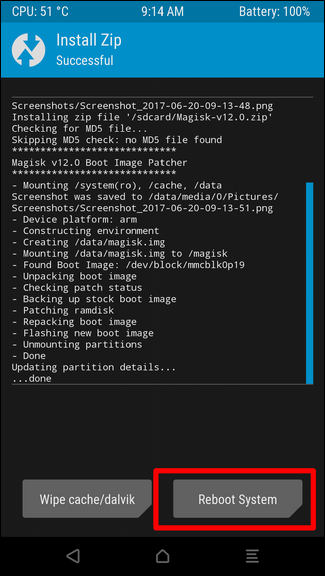 5) If the install is successful then reboot to activate magisk root. 6) In case if your device stuck on boot screen because of magisk then boot into TWRP and flash "Magisk-Uninstaller" located in "Magisk Manager" folder in internal storage. Before Flash Zip Install Stock Boot img. 1) Download & transfer the UPDATE-unSU.zip file to your device. 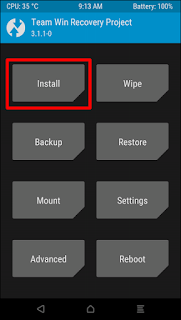 2) Boot your device into TWRP recovery. 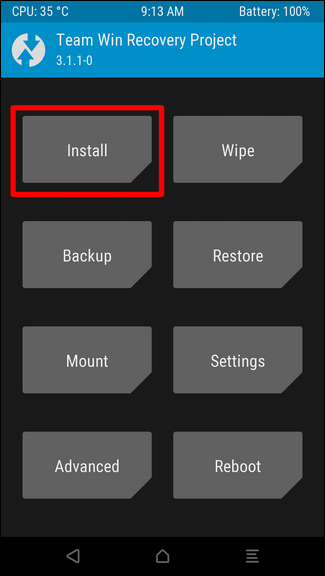 3) Tap the Install button on TWRP main screen » select UPDATE-unSU.zip file » and Swipe to confirm flashing the file. 4) Wipe cache/dalvik from TWRP. That’s it. SuperSU should be gone from your device now. Q: Web-view is crashing on my device when I enable MagiskHide! Q: Safety Net isn't working! Q: Safety Net still fails! Ans : Magisk can only tested to hide Magisk core features, for Magisk modules it depends on what the module does; most modules will be hidden properly. If your ROM itself is not able to pass SafetyNet, then there is nothing Magisk can help. Your best bet is 100% stock ROMs, because your phone manufacturer is forced to release a device passing CTS. Q: My device is not supported! Ans : Please open an issue on Github, along with your boot image uploaded. No boot image, no fix.